Impressive image quality. Brilliant videos. The Canon EOS 77D is all this and more, featuring a 24.2-megapixel CMOS sensor, 7 DIGIC image processor and a Dual Pixel CMOS AF system, which uses phase-detection autofocus for quick, accurate, and smooth performance. The camera offers a top-mounted LCD screen and rear Quick Control dial so you have full control over the settings. You can see exactly what the lens sees with the 77D optical viewfinder and with the 45-point all cross-type AF system your subject comes into focus quickly. Compose your shots and monitor videos from exciting new angles with the 3.01.04k-dot tilting high resolution LCD screen. Sharing photos and videos is simple with the camera built-in Wi-Fi, NFC and Bluetooth wireless technology and remote shooting functions are accessible through compatible devices. 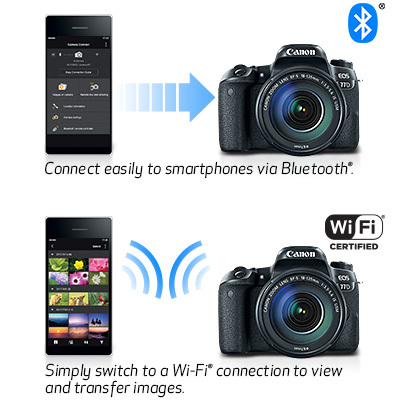 The EOS 77D camera is designed to make Wi-Fi® connections** fast and easy. 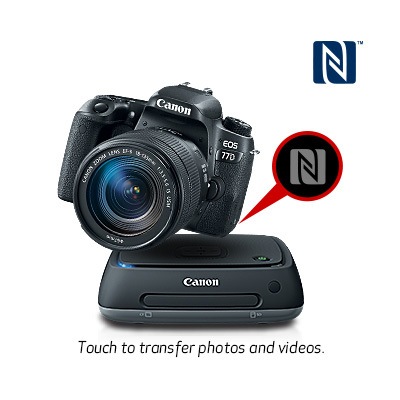 It can exchange data with other Wi-Fi® compatible Canon cameras, and transfer files directly to a compatible smart device using the Camera Connect app. 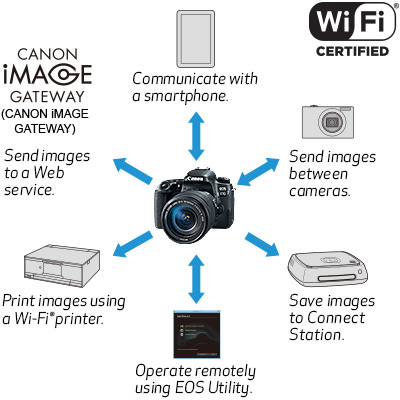 It can also connect directly to Canon’s Connect Station CS100 device, upload directly to various web services like CANON iMAGE GATEWAY#, Facebook® and YouTube® and print directly to wireless Canon printers. 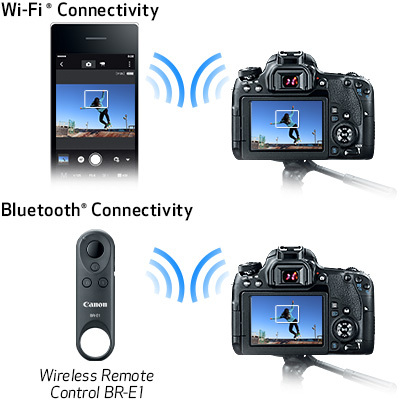 With the Canon Camera Connect app** installed, the EOS 77D camera connects to and can be controlled by your compatible smartphone or tablet, or the optional Wireless Remote Control BR-E1 for simple remote shooting. Just flick the switch and the 77D transforms into a full HD video camera that delivers 1080p video at high speed rate of 60fps with HDR movie and time-lapse movie recording capability. The Canon 77D is the camera to take with you everywhere you go so that you have it in your grasp when opportunity knocks. Xpix Deluxe Cleaning Kit: includes: Universal Screen Protector, Dust Cleaner Blower Brush, Lens Cap Keeper, Air Blower, 2-IN-1 Cleaning Pen, Lens Tissue, 5 cotton Swabs, FiberTique Microfiber Lens Cleaning Cloth.